Bhaskar spoke about the growth of Jacobin magazine as a theoretical pole on the left. “The point of a socialist publication is to see society in all it’s complexities and still be against it,” he said. Bhaskar also raised the importance of building strong grassroots movements. He emphasized that socialists need to implant themselves in local centers for struggles, like immigrant centers, labor locals, and community groups. He believed a socialist party could be formed in the next 5-10 years, but in the meantime that candidates could and should run under the Democratic Party in a way that they would remain accountable to a broad, working class base while rejecting corporate money. 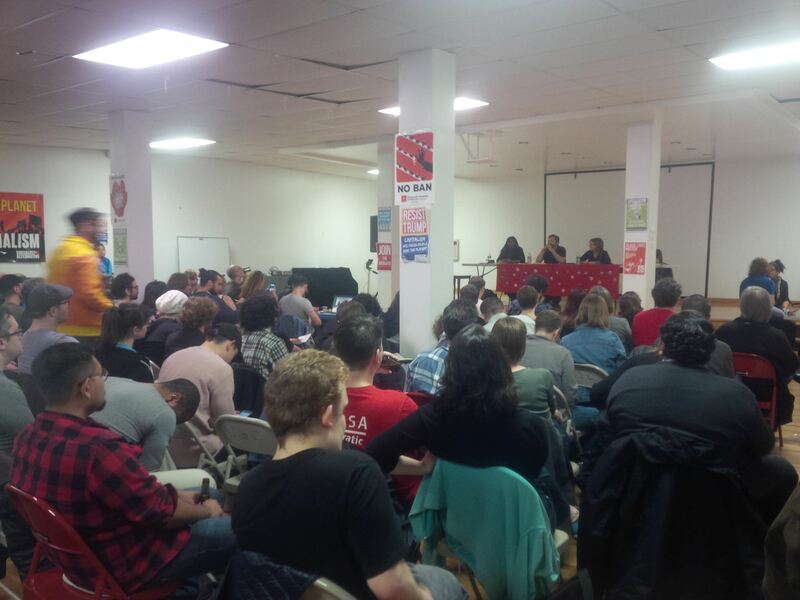 Kshama agreed with the strategic urgency of building a bigger, independent socialist movement bringing together many social movements. She explained her experience in Seattle regarding how to win important reforms under capitalism and how to build a radical power base outside of the confines of the two party duopoly. She said, “Having Socialist Alternative, an independent socialist organization, that discusses methods and tactics, was paramount in winning 15 Now in Seattle.” In addition, the recent $3 billion #DivestDAPL victory was a key example of how to win by using local office as a platform for the voices of united social organizations working together and demanding change.